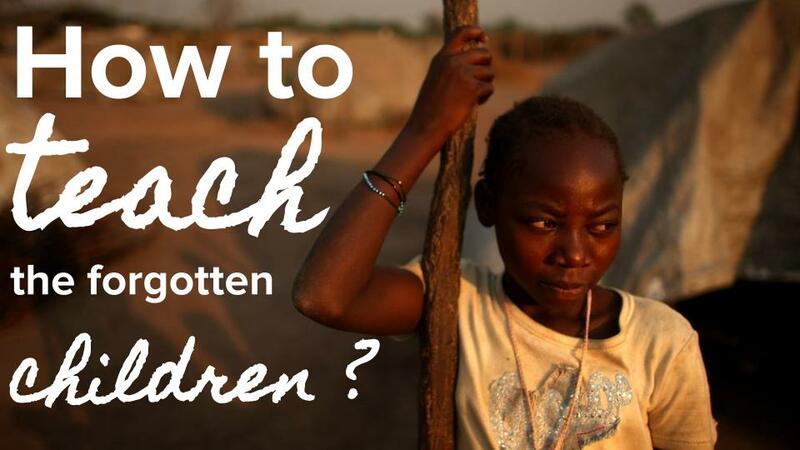 How to teach the forgotten children? She is not alone. There are 50 million children that will never go to school and more than 640 million that only have access to the most basic schooling. Many of these children live in conflict zones, disaster areas or in regions controlled by totalitarian groups where access to open education is not available. There are no scalable solutions to address this today. It would take an extra 1.6 million teachers and tens of thousands of additional schools to solve this using current methods, and at our current rate we would only do so by 2086. These children need us to do better than that, they need us to solve this while they are still children, and we can! 18 months ago a test was conducted. A group of illiterate children in a remote village in Ethiopia were given 20 tablets loaded with literacy apps. These tablets were dropped off without any instructions or guidance. After a few hours the first child figured out how to turn on the device and within minutes taught the other children how to do the same. After two weeks each child was using an average of 50 apps, and within a few more weeks were singing the ABC’s. It showed that children, even those far removed from modern technology, can learn without traditional support, empowering themselves and their peers through the use of off the shelf technology and content. There is a growing group of us working on a project to do just that. We are bringing together volunteers, partners and caring communities to develop an educational platform that will empower these children to take control of their learning, teach themselves and their peers, even when no teachers, the internet, or other resources are available. We are a community of parents, designers, developers, scientists and engineers. But, most of all, we are believers that all children should have access to an education. We call it The Moonshot Education Project. Will you help a child reach for the moon? We need many more volunteers, funders and partners. If you want to see where we need help please check our Join Us page.